Big dreams in a small bottle. 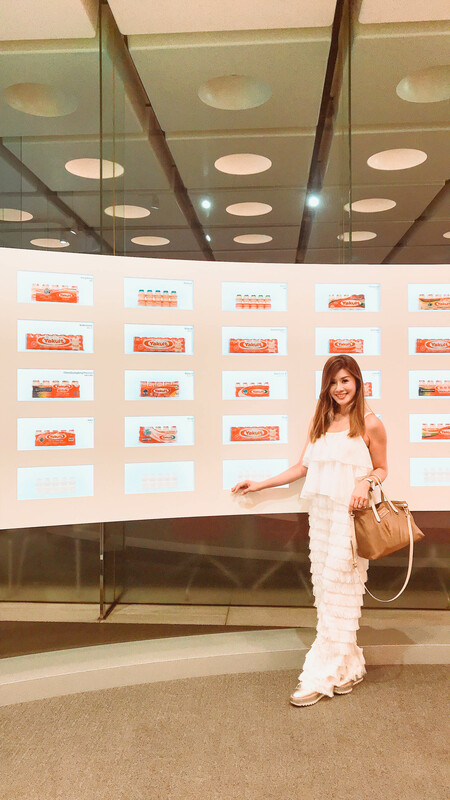 These words prominently displayed at Yakult Central Institute encapsulate what every bottle of Yakult beholds and I was honoured and privileged to be chosen as the first influencer from Singapore to embark on this educational trip to learn more about Yakult’s dreams! To begin with, a big thank you to Yakult Singapore for hosting me! 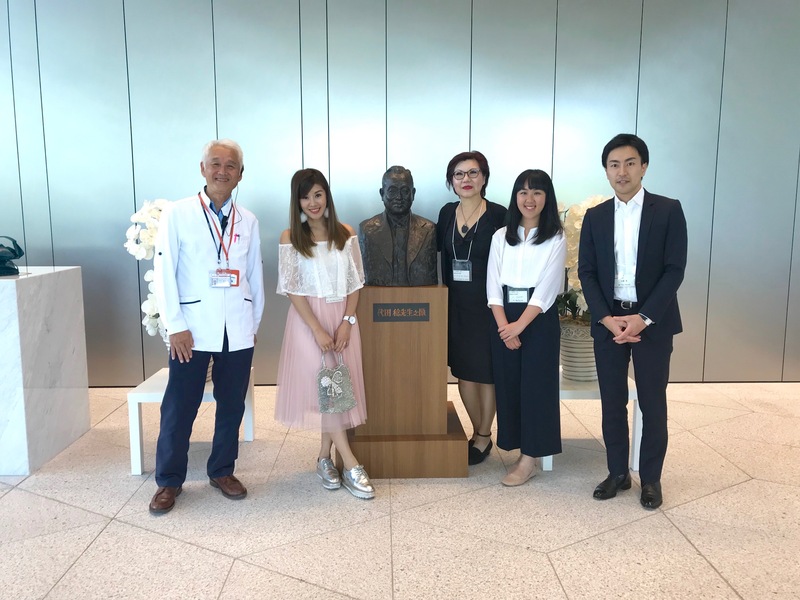 My first day of arrival, I was ushered to Yakult Japan HQ at Minato-ku to be introduced to our local host, and the many different kind of products that the pioneer in probiotics drink has developed through the years. 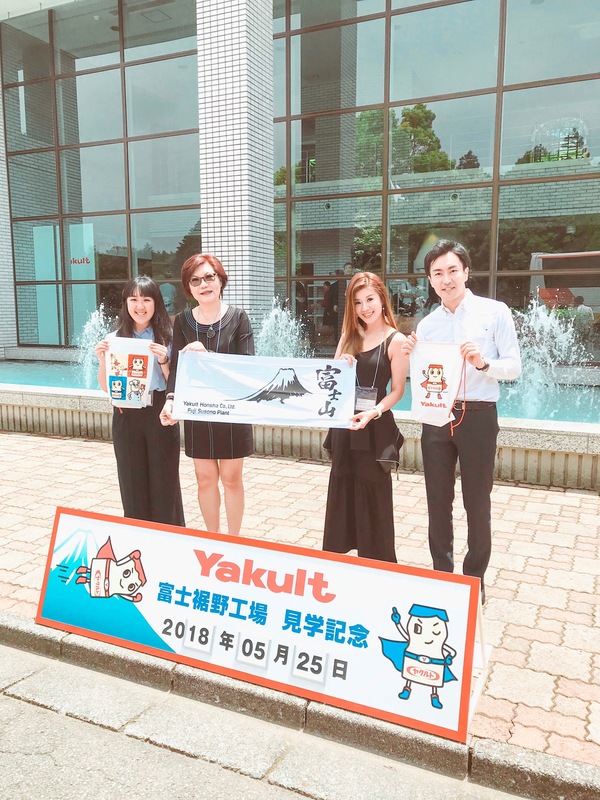 Did you know that there are different Yakult products in different sizes in the various countries and Yakult even produces in-house beauty products, PARABIO series, that were infused with Shirota Essence and HB Hyaluronic acid born of Yakult’s research? 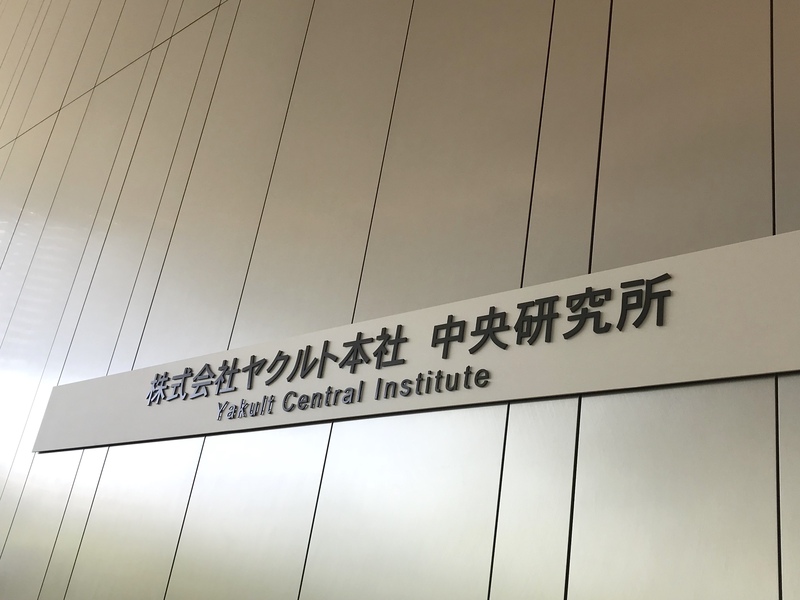 A visit to Yakult Central Institute later in the day was an eye-opener and exceptionally educational as I learnt about Dr Minoru Shirota, the founder of Yakult. Do you know that he is the first in the world in 1930 to succeed in culturing a fortified strain of lactic acid bacteria that is beneficial to human health and the bacterium was named “Lactobacillus casesi strain Shirota” after him? At the Institute, we were also briefed on his philosophy. The 3 key fundamental aspects of Yakult philosophy also known as Shirota-ism. This encompasses the concept of preventive medicine, a healthy intestinal tract leads to long life, and offering products at a price anyone can afford. Dr. Minoru Shirota, M.D., Ph.D. Founder of Yakult, devoted his life to the research of preventive medicine. His goal was to contribute to the health of as many people as possible and he believed that the emphasis should be placed on preventing illnesses, rather than on treating illness once it develops. 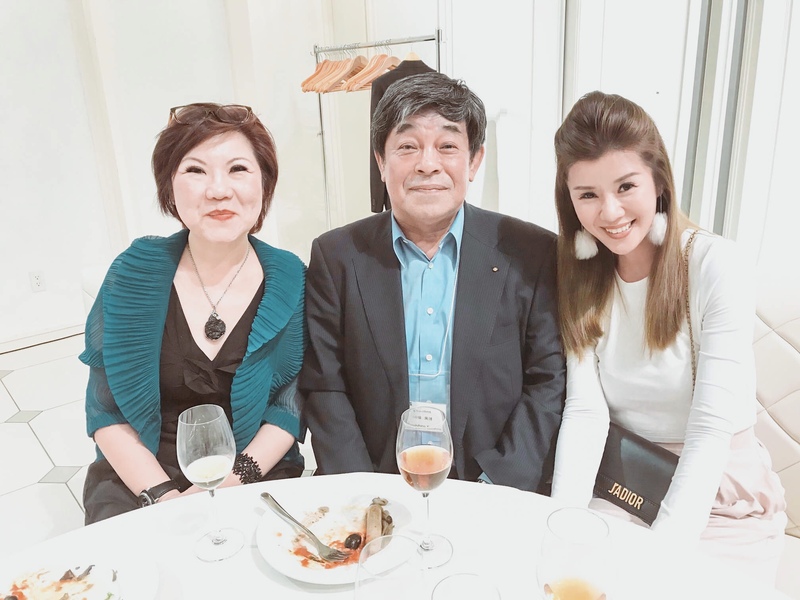 After many years of research, Dr. Shirota was successful in strengthening and culturing Lactobacillus casei strain Shirota, a strain of lactic acid bacteria that can reach the intestines alive and produce bacterial effects. 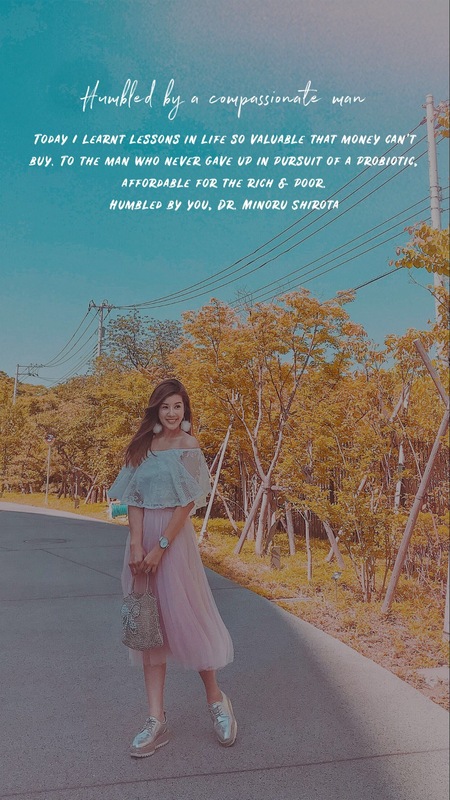 Beside learning that we can live healthier and longer simply by maintaining a healthy intestinal tract, I was heartened and in fact humbled to learn that Dr Minoru Shirota’s philosophy included brining good health to people at an affordable price. Here with my Singapore team on this enriching journey at Yakult Central Institute. 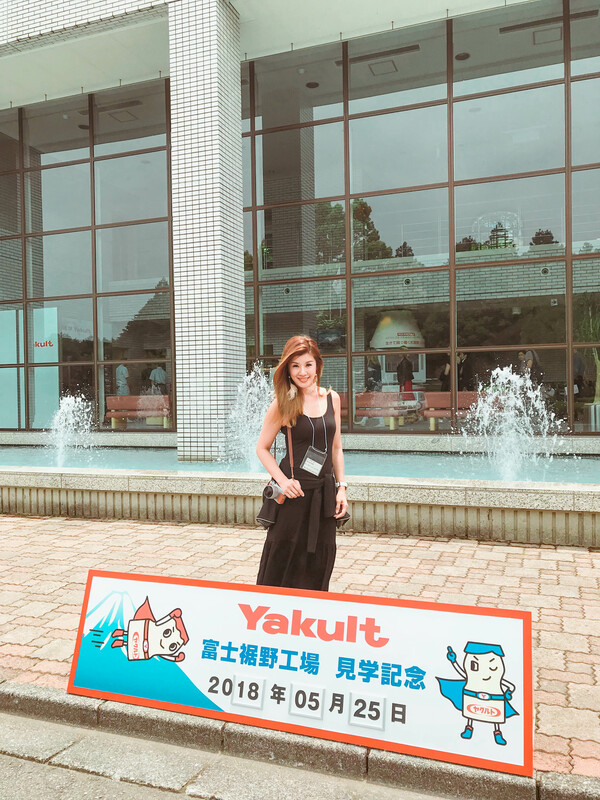 It has been 90 years since Dr. Shirota’s discovery and Yakult has continued to develop its business based on the philosophy of contributing to the health of people through pursuit of excellence in life science in life science, develop products based on that research and manufacture products under advanced quality management. What a great and noble philosophy for a business entity to embrace. I am therefore glad that Shirota-ism has withstood the test of time and continues to be carried on in the research and development activities at the Yakult Central Institute. This facility is a door to the future. So much to learn from a compassionate man …. Today’s ootd worn by Joop Boutique for today’s tour. Day 2 – Decked in my pastel pink fave frock from Ksisters and customised Lurve hat from TullelovebyGwen. All set for today’s fun adventures! 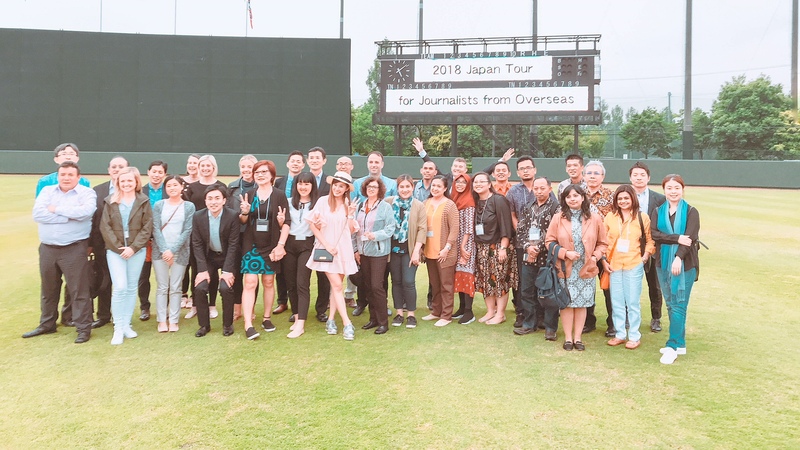 Today was a really exciting day ahead for us, as we were scheduled for a lunch tour at an elementary school, followed by a tour of Yakult Swallows’ professional baseball team facility! Checked in at Shibuya Honmachi Gakuen Elementary School to learn more about Shokuiku – Japanese term for Food Education. Dietary behaviour among elementary school students in Japan has recently become a cause of concern. Therefore, a Shokuiku (food & Nutrition education) program consisting of a series of lectures and practical sessions based on food nutrients & cultures are incorporated for the benefit of the students. 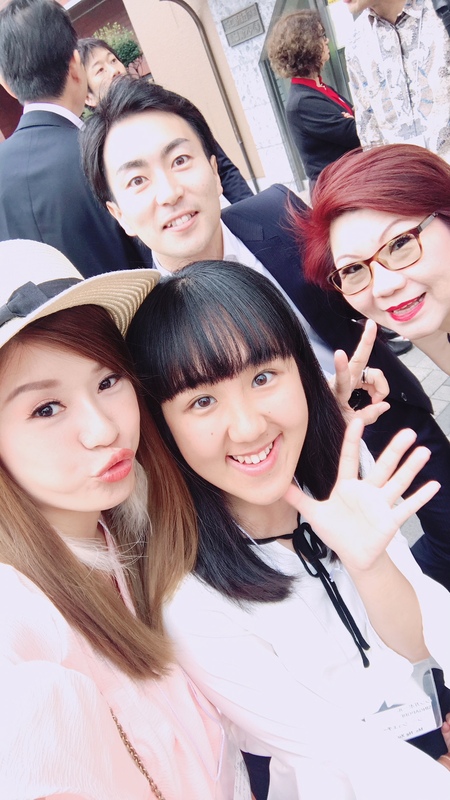 Here with the Vice Principal of Shibuya Honmachi Gakuen Elementary School and the pretty nutritionists at school. I would totally eat my greens and polish up all my food in the presence of the pretty ladies. I witnessed for myself how popular the pretty nutritionsts were with the pupils who were keen to present their empty plates and helping themselves to second servings! So glad to witness a healthy dietary behaviour amongst the elementary students and of course, glad to see each and every student having a bottle of Yakult with their meal. Do you know that since 2008, Yakult has been dispatching lecturers to elementary schools to give lectures on the topic of “early to bed, early to rise, eating breakfast and emptying your bowels in the morning” as part of Shokuiku? I for one will try to remember this mantra “early to bed, early to rise, eating breakfast and emptying your bowels in the morning”. 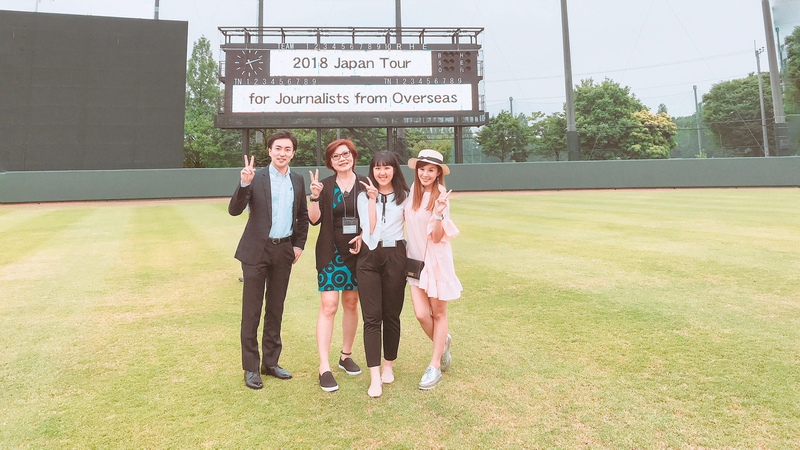 Next stop – After yet another yummy lunch, this time at Kisoji Restaurant, we checked in at Yakult Swallows’ professional baseball team’s facility. Thanks to Yakult for organising the immensely warm welcome by the country’s highly-adorned professional team! Here with my fave fun bunch from the Singapore team! Mr. Ryo Ohashi, Jennie from Prime Publishing and Xueqi from Sg Yakult. We even got to witness the professional players in practice. I also learnt that The Swallows made history on June 14, 2009 by hitting 11 base-hits in consecutive at-bats. The record was certified by Guiness World Record! In 2015, Tokyo Yakult Swallows won it’s first Central League pennant in 14 years. What a glorious victory it must have been for them! 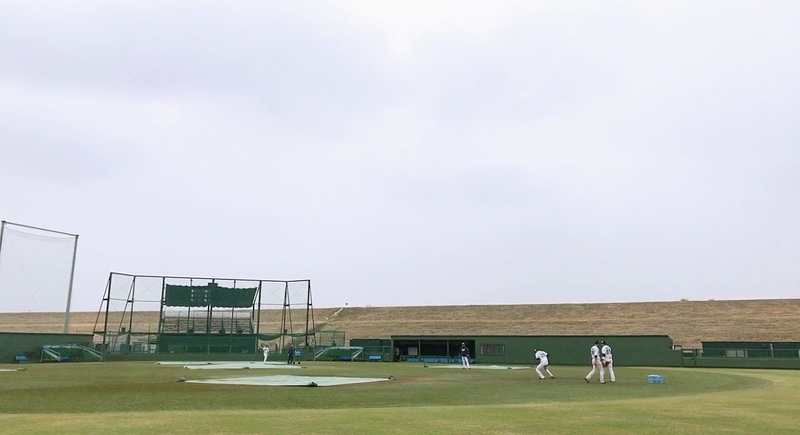 It is interesting to note that Yakult Swallows is one of the many ways that Yakult is contributing back to the society, and in this instance, through promoting sport to people. 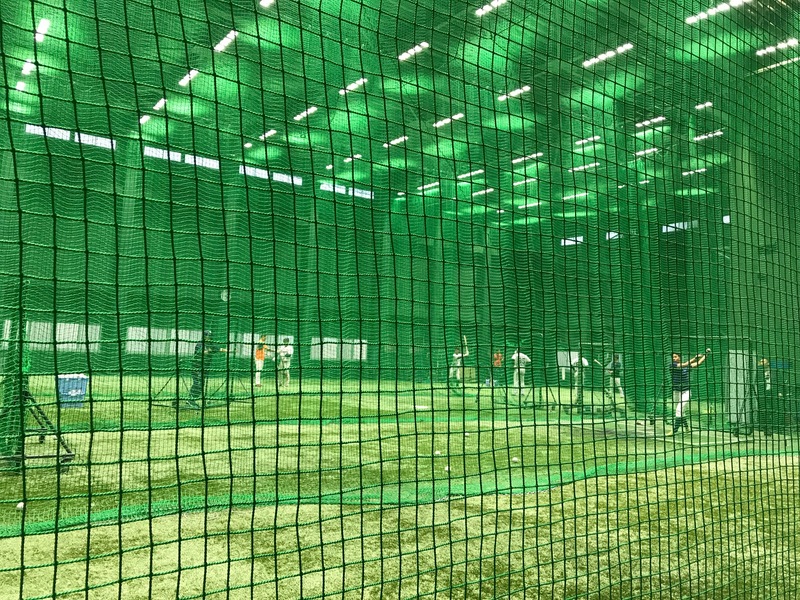 Yakult Swallows hold baseball clinics during offseason for primary and junior high school aged children with the aim of getting them to enjoy sports and the cherish good health through exchanges with professional baseball players. I’m sure the professional baseball players will be able to influence a large number of the children to embark on a healthy and sporty lifestyle. A Yakult lady performs an important role in delivering a very affordable probiotic dairy product to you and me everyday and helping us understand the benefits of Yakult. This practice is also based on Shirota-ism, which include ideas like sincerity, harmony among people, and caring enough to make home deliveries. Yakult lady deliver products to customers by hand with the sincere wish for their good health. I grew up witnessing how my own neighbourhood lady would go from door-to-door to conscientiously deliver our weekly orders for several years! Here in Japan, more than 50% of Yakult products are distributed by Yakult ladies. 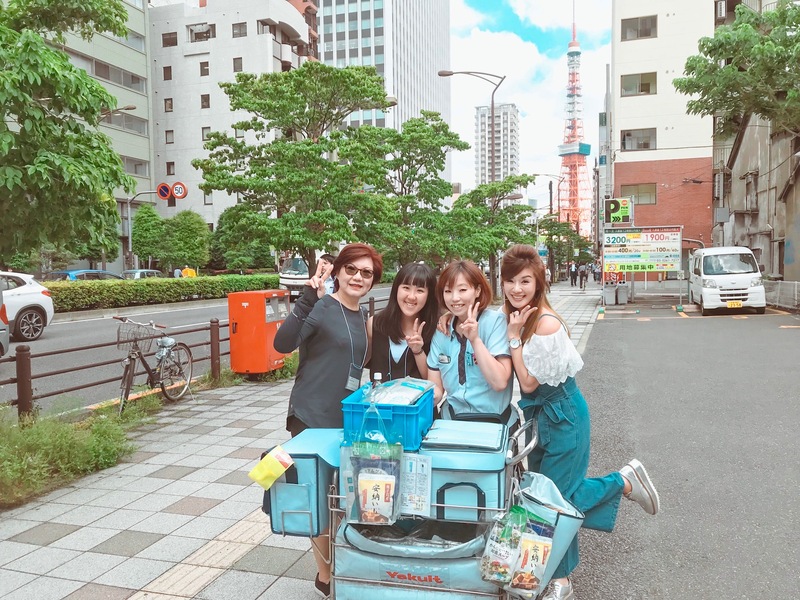 Yakult Ladies visit customers with a smile and deliver products with sincerity. Home delivery by Yakult Ladies began in 1963 with the introduction of the Yakult Lady System, a distribution method unique to Yakult. 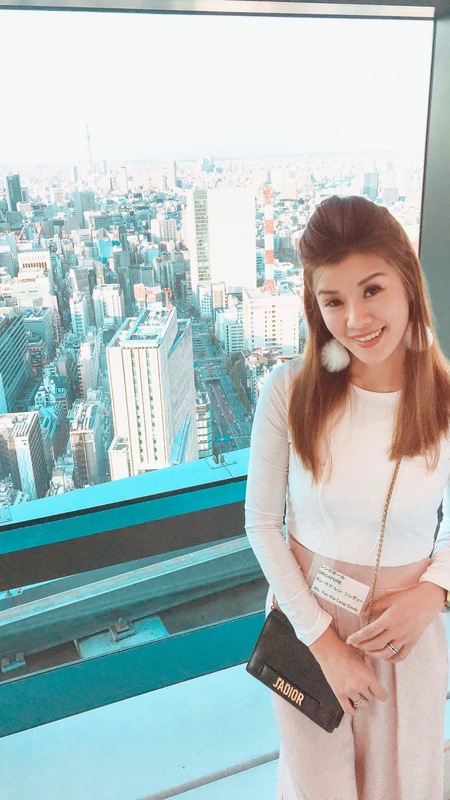 On my third day here, I had the privilege of understudying and assisting the super sweet and friendly super Mummy of 4 – including a pair of twins, Miki-san in her dispatch session. Her sweet demeanor and positive service attitude was such an inspiration to me. Even the sound of her voice rang like music to my ear. Having to maneuver the oncoming traffic and endure weather changes was really not as easy as it seems. I was also surprised to see how Miki remembered each and everyone of her regular customers’ orders without hesitation. And by adopting a positive attitude and armed with sheer dedication for her job, Miki made me witness a Yakult lady’s hard work today. My respect to the Yakult ladies on a new high level! Took a 2-hour bus ride to the Mt. Fuji area to witness the meticulous production and manufacturing of the world’s pioneer in probiotics drink. Rewarded with a glorious peak of Mt. Fuji at Yakult Fuji-Susono plant today! 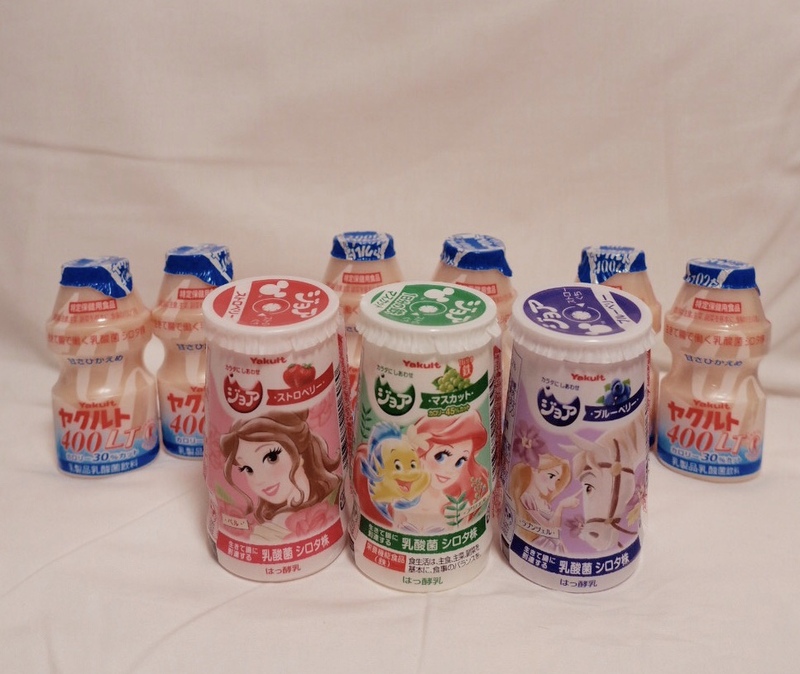 Yakult owns 12 production plants in Japan. For this particular state-of-the-art plant, it sits on a site area of 208,000 square metres and actually produces 1.2 million products per day! ~ This visit to Yakult Fuji-Susono plant not only shows me the efficiency in their production and how they emphasise production of products that are safe and of high quality, more importantly, I witnessed how Yakult undertake all these in an eco conscious manner, ensuring that they do their upmost to recycle, minimise waste, and reduce the impact to the environment in all that they do in the whole production process. Once again, this is a testament that Shirota-ism is not merely a philosophy, but is actually being practiced. Kudos to Yakult. 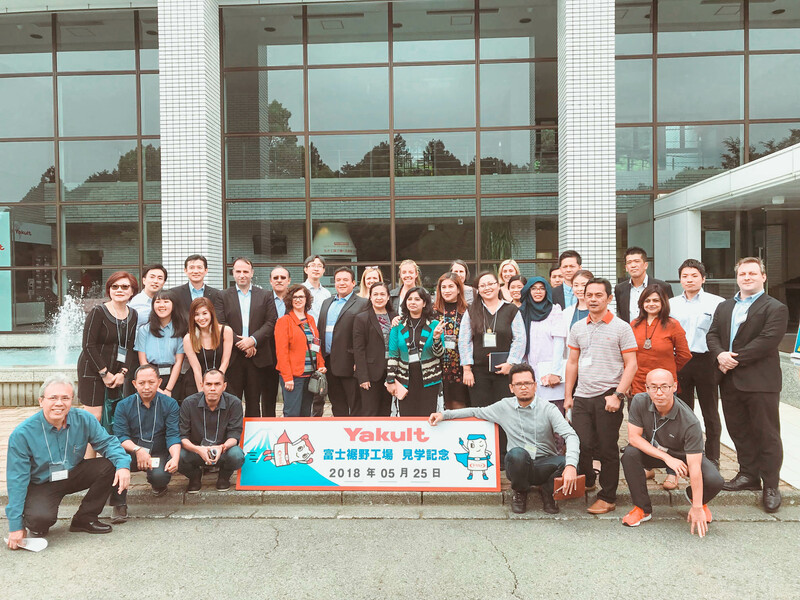 Yakult now operates in 38 countries and regions around the world, including Japan, with over 35 million of the company’s dairy products consumed each day. Let’s drink to good health internationally! Found these pretty princesses waiting of for me when I checked into hotel. Yakult 400LT cultured milk drink contains 40 billion L.casei strain Shirota and yoghurt drink Joie ジョア. 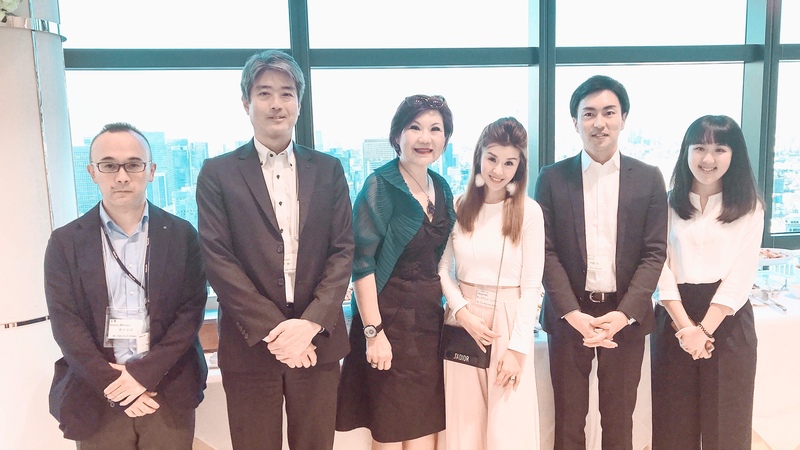 Had an enjoyable welcome dinner with (from Left) Deputy Manager, Mr. Hitoshi Ishikawa, Mr. Syunichi Uekusa, Jennie from Prime Publishing, Mr. Ryo Ohashi and Xueqi from Singapore Yakult team. Spent a great time chatting with Director Deputy President, Mr. Yoshihiro Kawabata. 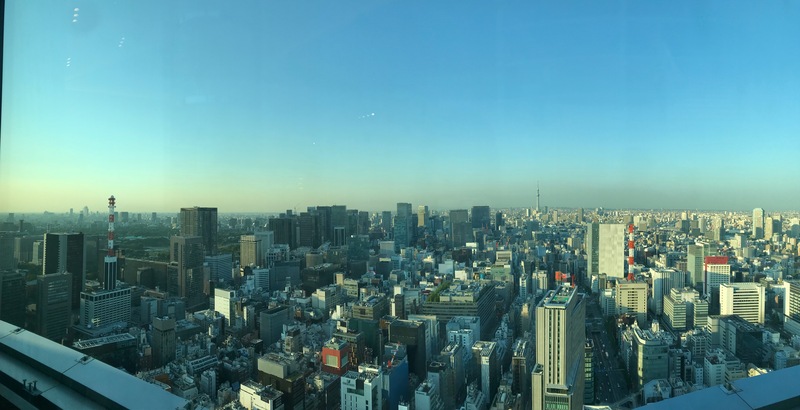 The picturesque panoramic view at 41st level – Lumiveil, Tokyo. 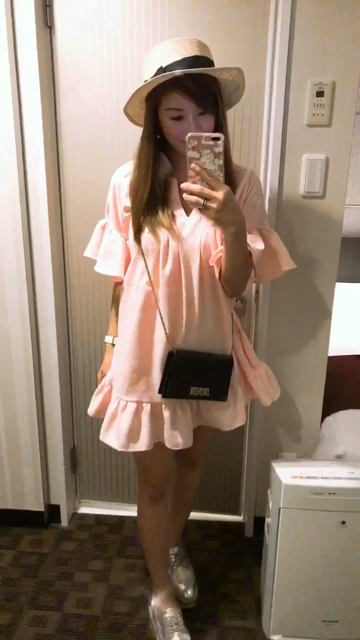 Dinner’s ootd. Crop Top by VGY store. Pants by Uniqlo. 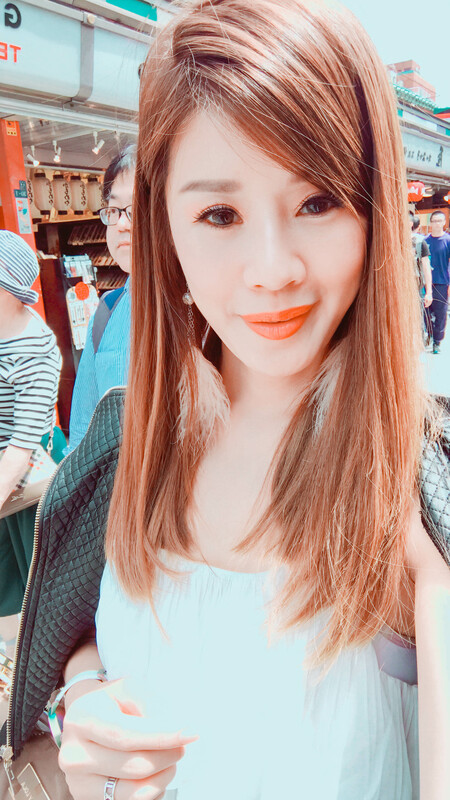 Being back here in Shinjuku, reminds me of my former travelling days..
And it is also times like these that makes me appreciate all the experiences in life that makes this day possible & enjoyable. It has indeed been a fun and enriching week for me! And I could feel my heart skip a beat at the thought of my baby awaiting my return. It’s indeed a joy and an honour for me to embark on this educational trip with Singapore’s team, being warmly welcomed as Singapore’s first social media influencer to come onboard this trip. I take home with me a wealth of knowledge of the world’s pioneer probiotic cultured milk made with a special strain of the bacterium Lactobacillus casei Shirota. A popular health drink loved by 28 million people from 38 countries and regions. The drink has been proven using ‘strongest’ strains of beneficial bacteria, and has been shown to benefit human health. Free of preservatives, colourings and stabilizers. I also took home with me the dreams that are within each and every bottle of Yakult that is being distributed around the world. The dream of helping everyone throughout the world enjoy healthier lives, the dream of delivering the irreplaceable joy of good health to people around the world. And all these, packaged in a familiar small bottle, delivered with sincerity to you and me. Special shoutout to my all-time trusted hair salon MiTheSalon, for always taking such good care of my tresses and for the special pampering for my hair to stay so soft and silky-smooth throughout this trip! Did you know that you can join Yakult Singapore on an educational 1-day fun factory tour with The World’s Premium Probiotics Drink!? 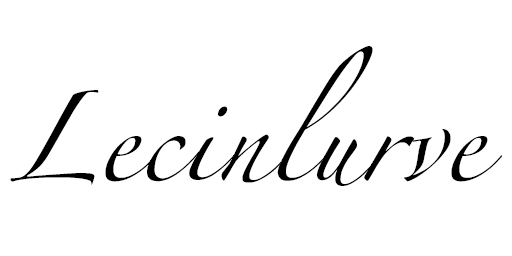 You can catch me on my daily postings on Instagram @lecinlurve and also my current updates on my IG stories.